Last thursday four of us went to Niche to celebrate my Son’s birthday. It was our very first visit . 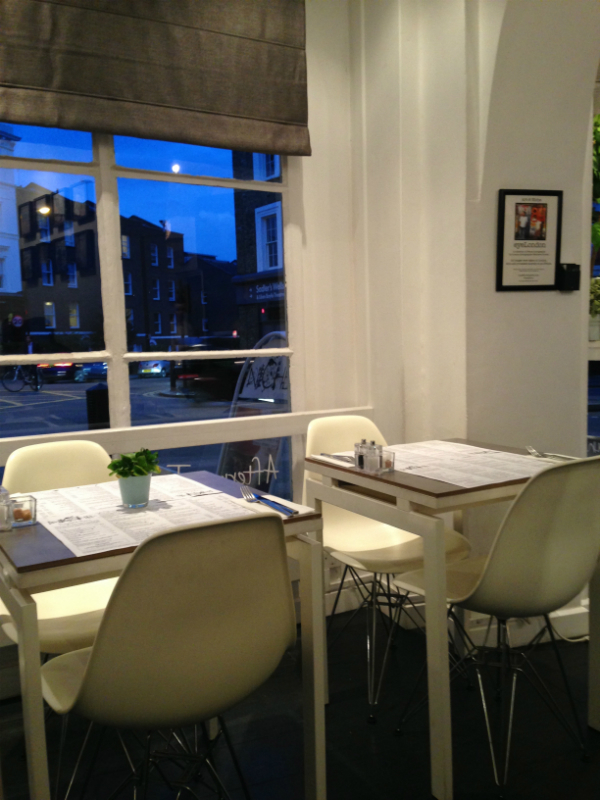 Niche is a gluten free restaurant in Islington providing British comfort food which is all gluten free. 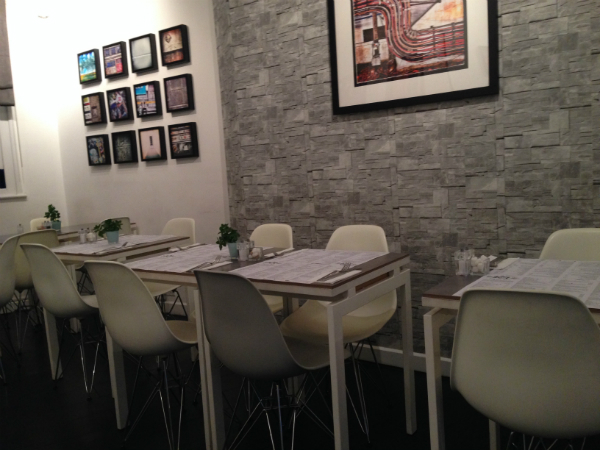 The restaurant has a very relaxed atmosphere, more cafe style than restaurant. A modern clean airy space in a prime spot on the corner of a Rosebury avenue , just down the road from Sadlers Wells theatre. I thought ordering would be relatively straight forward against other regular restaurants, but this turned out to not be the case. Firstly I went through my intolerances and that I had coeliac disease and gave the waiter my card. He then went through the starters with me, and popping back to talk to the chef re yeast onion and garlic and paprika. Unfortunately this ruled all the delicious looking starters except a plate of smoked salmon or a goats cheese salad. 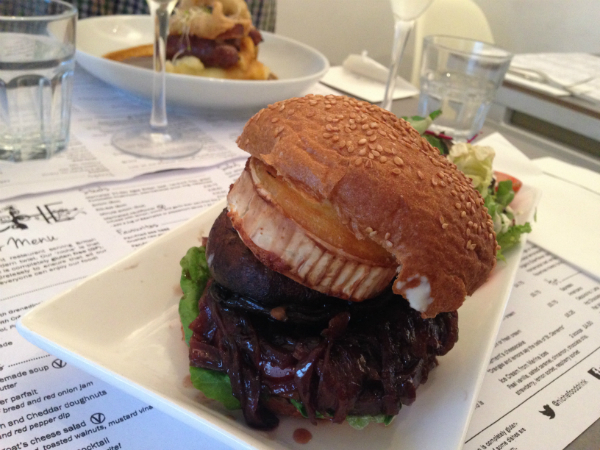 I was excited to try the gluten free burger for my main but this contained onion so I had to rule it out , secondly I chose a steak, my go to meal at every restaurant. Unbelievable for me the steaks at Niche are marinated making them of limits to me. 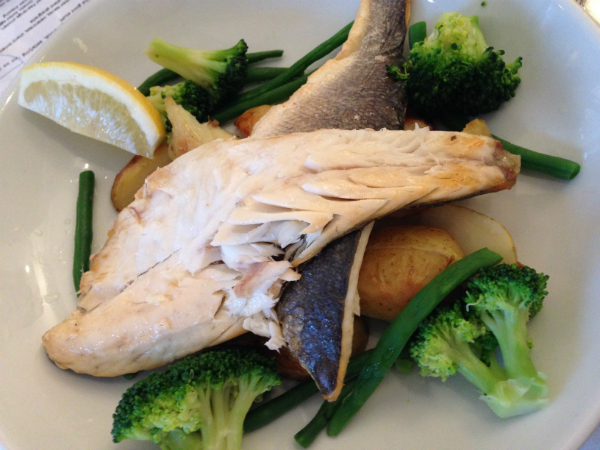 I plumped for sea bass in the end with potatoes and no sauce instead I asked for some green vegetables. I was pleased the family could order all the gluten free starters that I wanted to try, the deep fried parmesan and cheddar doughnuts and the fried chicken. 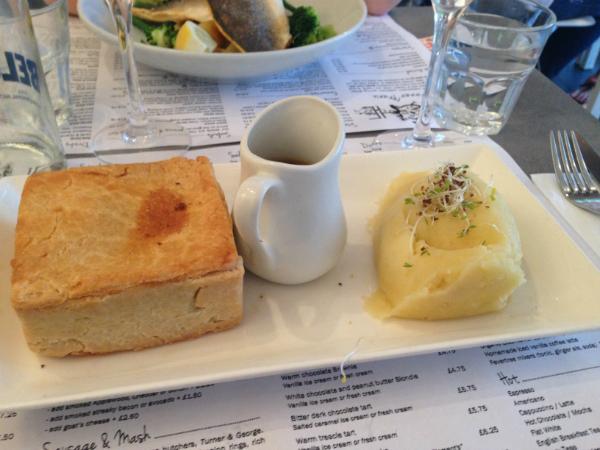 For main courses they went for beef and chorizo pie and mash, sausage and mash and a goats cheese and Portobello mushroom burger on a gluten free bun with fries. 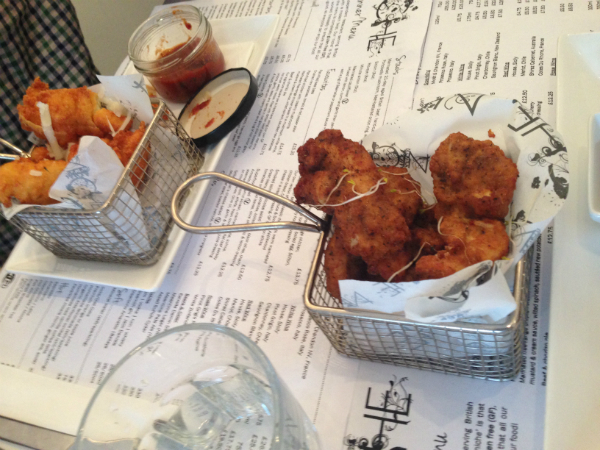 Our starters arrived promptly and the fried chicken strips and parmesan and cheddar doughnuts looked amazing. I was very disappointed that I couldn’t have either. Maybe something for Niche to look at? Many Coeliacs and those with intolerances can’t tolerate yeast, dairy, onions or sometimes garlic etc. Just one simple treat starter would be appreciated. 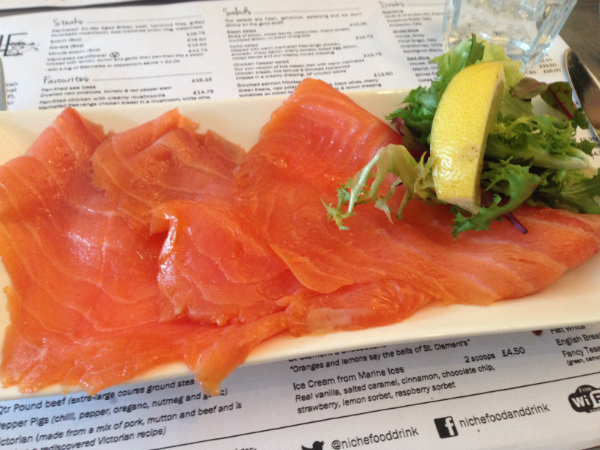 My smoked salmon was really delicious and I was given a huge portion. The fried chicken strips cost £7.75 and were a hit and the parmesan and cheddar doughnuts cost £6.50 were liked but not raved about. My husband had the goats cheese salad which he enjoyed. A lady came to take our dessert order and we mentioned about the lack of chips she apologised and offered a free pudding. 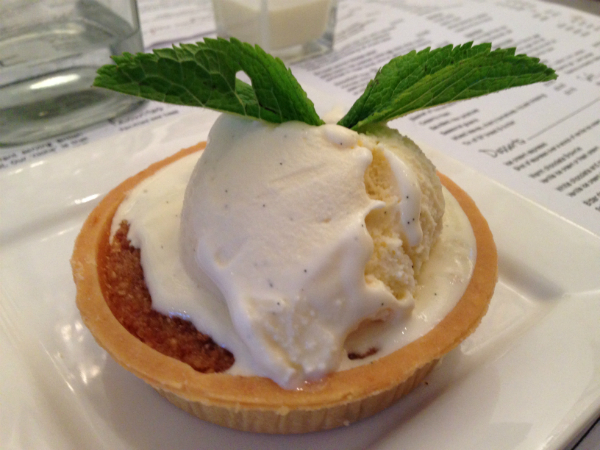 I asked for information about the treacle tart which I had been really looking forward too. But after talking to the chef I was told it was made from gluten free bread that contained yeast. I was really disappointed but chose the chocolate brownie. My meal was turning in to the classic meal I have every where in all regular restaurants. Over all it is a pleasant restaurant for those who are gluten intolerant or have Coeliac disease as there is Zero risk of cross contamination but I think they are missing a trick by not finding out more about those with intolerances and designing a menu taking this into consideration. 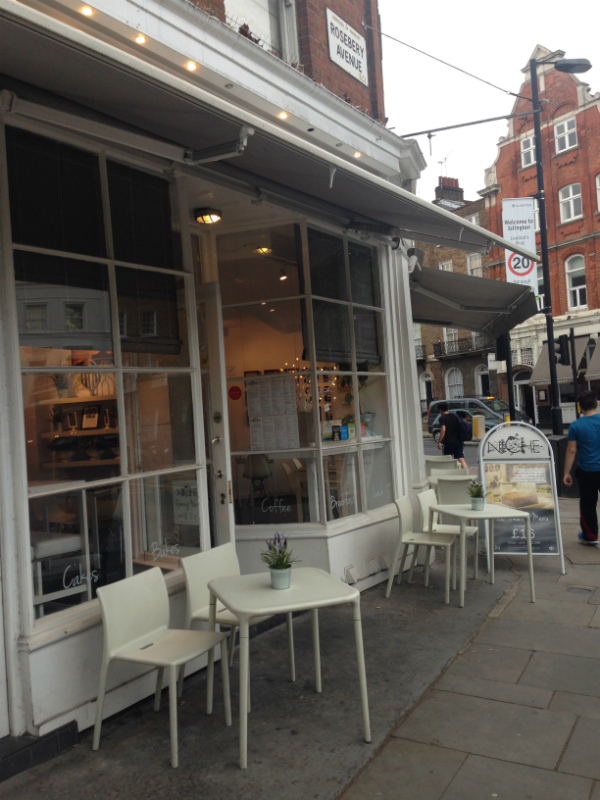 Niche is a reasonably priced restaurant well worth a visit. I’m not sure about the reasoning behind the venture and whether anyone in the team is coeliac or gluten intolerant but It almost seems that Niche is jumping on the gluten free band wagon? I may be entirely wrong but I didn’t have the opportunity to speak to anyone in charge. Maybe next time I will have the opportunity to ask. We had a lovely evening out together and would visit the restaurant again if we were in the area. I’m not sure we would make a special journey just to eat there though. I look forward to hearing your reviews, especially if you have no added intolerances. I’m sure you will have a great time. Oh no! It sounds like there was a lot available and some unusual gf options but I’m sorry that you had such a hard time. :0( Not having foods you could have safely (not to mention not knowing what is in those products without having to check everything) is one thing, but then messing up the orders as well just makes it worse. 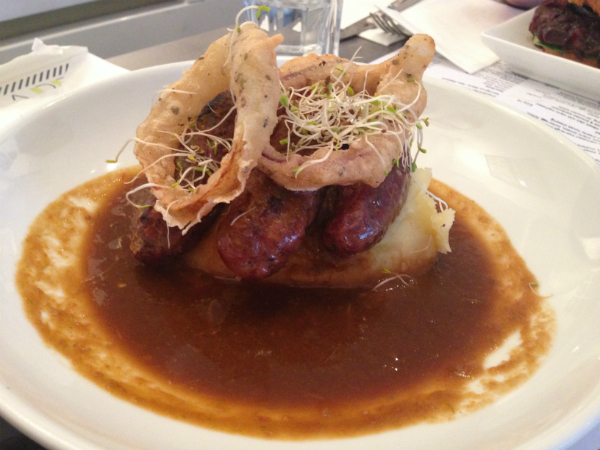 And I know what you mean – when you eat out somewhere it should be special. You should feel like you’re getting something a bit more interesting and exciting than you would make at home or buy elsewhere. To then end up with, essentially, the same meal you’d have most places is so disappointing. SO fed up with chocolate brownie as a pudding. 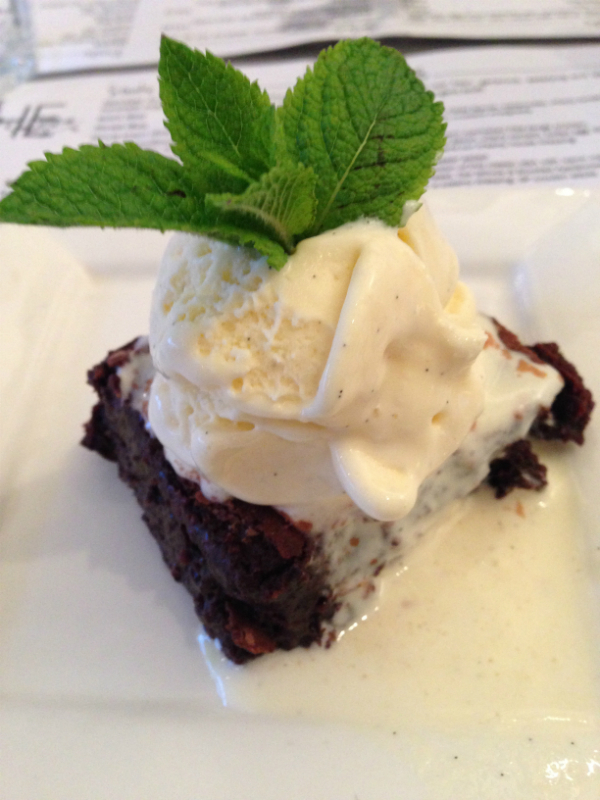 There’s so much thought that goes into non-gf puddings…so why is it always a brownie!? Anyway, I hope they read this and are inspired to do something about it.